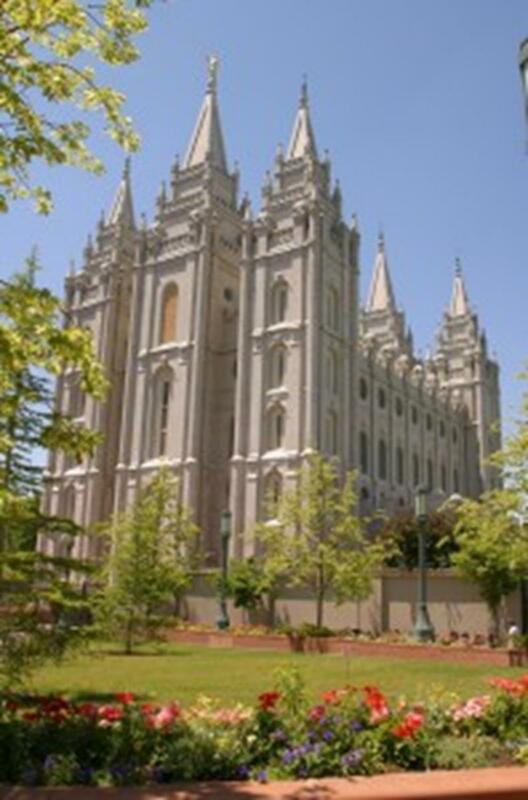 Salt Lake City is a place built around Mormonism. In 1847 Brigham Young led a group of followers west in search of a place to worship without persecution. Upon seeing the area at the foot of the Wasatch Mountains and along the Great Salt Lake, he announced, “This is the place.” Today the Brigham Young Monument at the heart of the city stands in honor of the second president of the Mormon Church. Visitors can also see his official residence, the Beehive House, and visit his grave. The Mormon Temple in Temple Square is the symbol of the Church of Jesus Christ of Latter-day Saints. It took 40 years to complete the temple, which contains sacred ordinances of the Mormon faith. The 210-foot east tower is topped with a gold-leaf-covered statue of Angel Moroni, the angel that Joseph Smith, founder of Mormonism, said visited him on several occasions. The temple is closed to the public, but the Tabernacle on Temple Square offers daily tours. The 6,500-seat tabernacle rests under one of the world’s largest domed roofs that does not have center supports. The renowned Mormon Tabernacle Choir performs weekly with accompaniment from an 11,623-pipe organ. Utah’s State Capitol building is another one of Salt Lake City’s architectural highlights. The 1916 Corinthian-style structure features Utah granite and Georgia marble. A copper-covered dome tops the building, and interior murals grace the walls and ceiling of the great hall. The state reception area has exhibits about each one of Utah’s 29 counties. 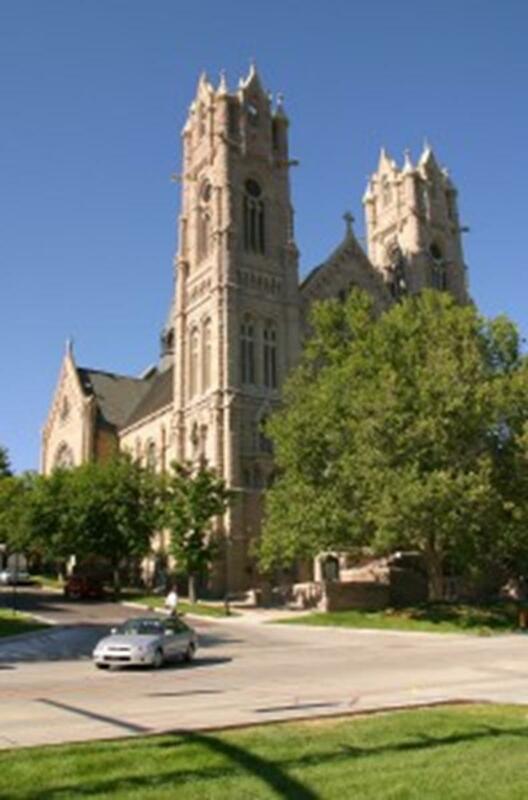 The Cathedral of Madeleine was built in 1900 by the first bishop of Salt Lake City, Bishop Lawrence Scanlon. The Roman Catholic cathedral has two 220-foot towers, a Gothic interior, Venetian mosaics, Utah-marble alters and wall niches with oak statues. Focus on the Family, a Christian organization dedicated to promoting traditional values in the home, finds its own home in Colorado Springs. The producer of the popular broadcast series Adventures in Odyssey invites visitors to tour its studios. The welcome center also includes a theater, children’s area, interactive displays and Whit’s End, an old-fashioned soda shop featured in Adventures in Odyssey. 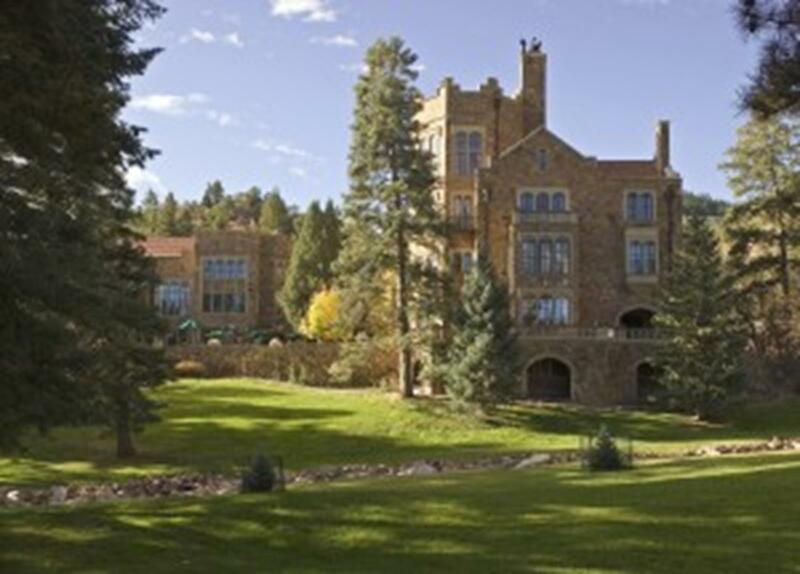 Eyrie Castle was once the home of William Jackson Palmer, the founder of Colorado Springs, but now is owned and run by the Navigators, a mentoring and discipleship organization. The castle has 20 fully-equipped, 19th century-style meeting rooms. A short drive to Cañon City and your group can gather at The Abbey, a Tudor Gothic building that served as a Benedictine monastery from 1924-2005. The 66,000-square-foot monastery at the event center has meeting rooms and is open for self-guided tours. Having graduated its first class in 1959, the U.S. Air Force Academy is the newest of America’s service academies. 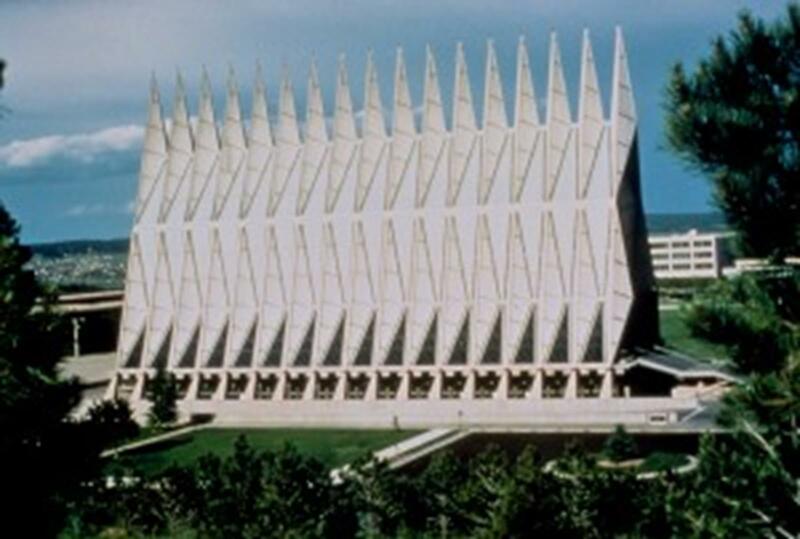 Several parts of the academy are available to visitors, most notably the Cadet Chapel. Made of aluminum, glass and steel and featuring 17 spires, the chapel serves as a place of worship for cadets of all faiths. Nearby Honor Court displays statues and Air Force memorials. Static displays of various aircraft are featured throughout the campus. Just 10 miles outside of downtown, Pikes Peak overlooks Colorado Springs. Its 14,110-foot summit makes it the easternmost 14,000-foot mountain in the United States. Visitors can reach the summit either by highway or by cog railway. At the base of Pikes Peak sits Garden of the Gods Park. The 1,319-acre city park is best known for its giant red-sandstone rock formations. Popular natural structures include the Balanced Rock and Kissing Camels. Mountain biking, horseback riding and guided nature hikes are available on the miles of paved and unpaved trails. Great views of Pikes Peak behind the towering rock formations abound throughout the park. Known for its world-class zoo and perpetual sunshine, San Diego also marks the birthplace of Christianity in the Far West. Mission Basilica San Diego de Alcalá is known as the “Mother of the Missions,” since it was California’s first mission and first church. Established by a Spanish friar in 1769, the mission has been reconstructed to mimic its original form. California’s first Christian martyr, Father Luís Jayme, is buried under the building’s chancel floor. Self-guided tours of the building and grounds are available. Mission San Antonio de Pala Review is another one of San Diego’s 21 surviving missions, but the only one that is still serving its original purpose. Built in 1816 to serve Native Americans, the mission continues to do so through daily mass and church ministries. Many Interstate 5 travelers are drawn to the San Diego California Temple, which jumps out of its surroundings with its brilliant white glow from exterior marble chips and stucco. 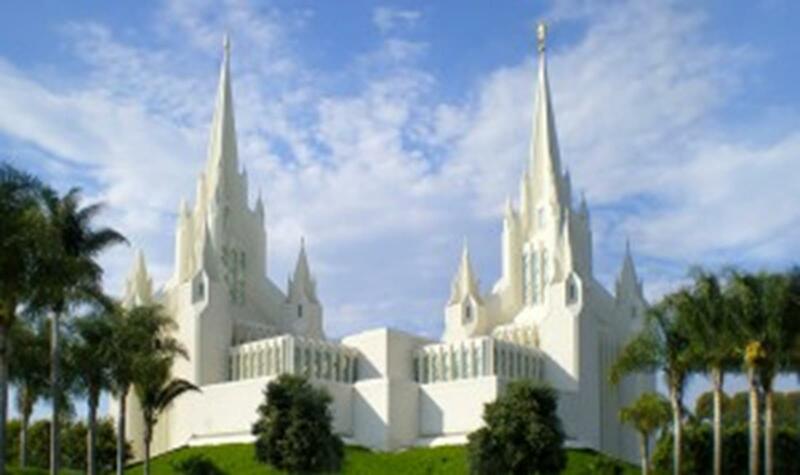 The Mormon temple was built in 1984 and has two main spires with four smaller spires surrounding each one. The temple is illuminated at night for a brilliant photo opportunity. While not open to the public, the temple maintains the Mormon Battalion Historic Site in Old Town, San Diego, which tells the story of how a battalion of 500 men marched from Council Bluffs, Iowa to San Diego during the Mexican-American War and formed the Old Town area. San Diego’s 1,200-acre Balboa Park is larger that New York City’s Central Park and features 15 museums and several performance venues. The main attraction, however, is the San Diego Zoo. More than 4,000 animals and 800 species make this one of the largest zoos in the world. Walking trails through closely-imitated habitats give visitors a close-up viewing experience. The Giant Panda Research Station is one of the zoo’s top attractions. Outside the city, the zoo operates the Wild Animal Park, where 3,200 animals and 400 different species roam over large expanses of land made to simulate their natural habitats. Open-air trams take visitors past rhinoceroses, tigers, elephants, giraffes and zebras. Two cathedrals stand out in Seattle. St. James Cathedral is modeled in a 14th century Italian Renaissance style, with two 167-foot-high towers in front. 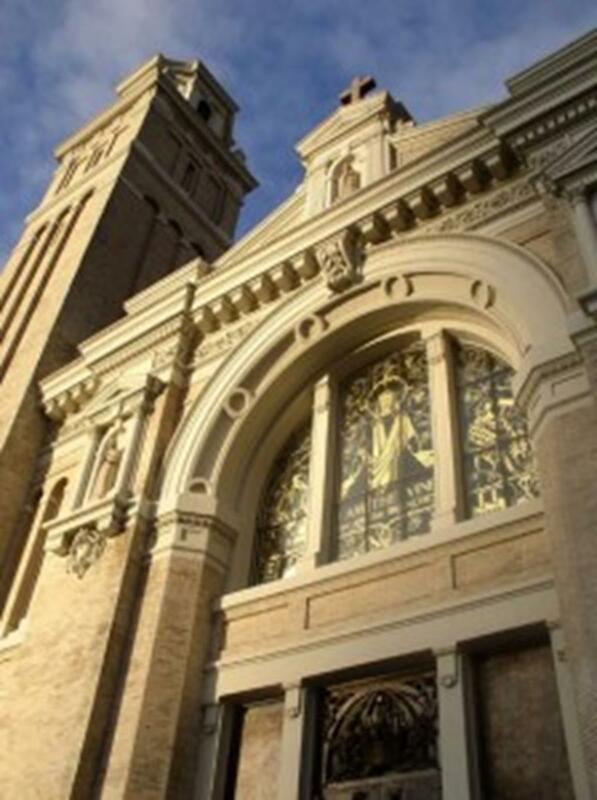 The building is known for its abnormally deep transepts, a Renaissance painting of the Virgin Mary and Jesus, and the relics of Mother Cabrini, the first U.S. citizen to be declared a saint. St. Mark’s Cathedral is built like a fortress and has been nicknamed “The Holy Box.” Located next to a sheer cliff with a great view of the skyline, the cathedral features a large rose stained-glass window that casts a unique color over the interior during the day. St. Spiridon Cathedral is a Russian Orthodox cathedral constructed in 1895. The brick building is topped with a series of blue onion-shaped domes and golden orthodox crosses. Inside all five senses are stimulated, with the thick smell and faint taste of incense in the air. Built in 1962 for the World’s Fair, the 605-foot-tall Space Needle has been the symbol of Seattle ever since. An observation deck 520 feet up provides great views of the city, Puget Sound and Mount Rainier, when it is visible. A restaurant at the top of the Space Needle rotates full circle every 47 minutes. Nearby Tacoma is home to 170 historic religious structures, including Old St. Peter’s, Tacoma’s oldest surviving building. The church, built in 1873, has been home to Christians of many different doctrines over the years. Seating only 75, this small place of worship uses the 1928 Book of Common Prayer to guide its services. First Congregational Church dates back to 1907. The brick, Gothic structure is faced with Tenino sandstone and features arched stained glass windows and a bell tower. The interior is lined with oak woodwork and includes a pipe organ. The recently opened LeMay – America’s Car Museum in Tacoma highlights America’s love of automobiles. With almost 4,000 cars, trucks and motorcycles, LeMay is one of the largest auto collections in the world. 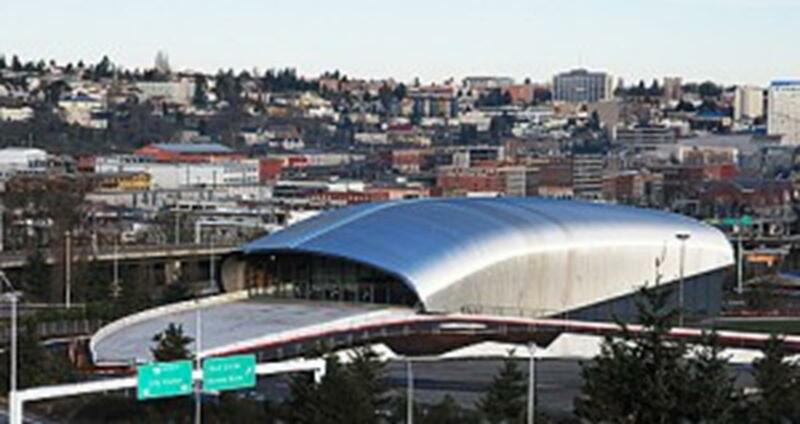 The museum’s silver shell stands out on the nine-acre campus and adds an interesting element to the Tacoma skyline. A wide variety of contemporary glass art is on display at the Museum of Glass. From glass pottery, sculptures, gardens and a bridge of glass, every type of glass art is in some way represented. Visitors can watch glass artists in action in the world’s largest Hot Shop, located with the museum’s signature 90-foot stainless steel cone. 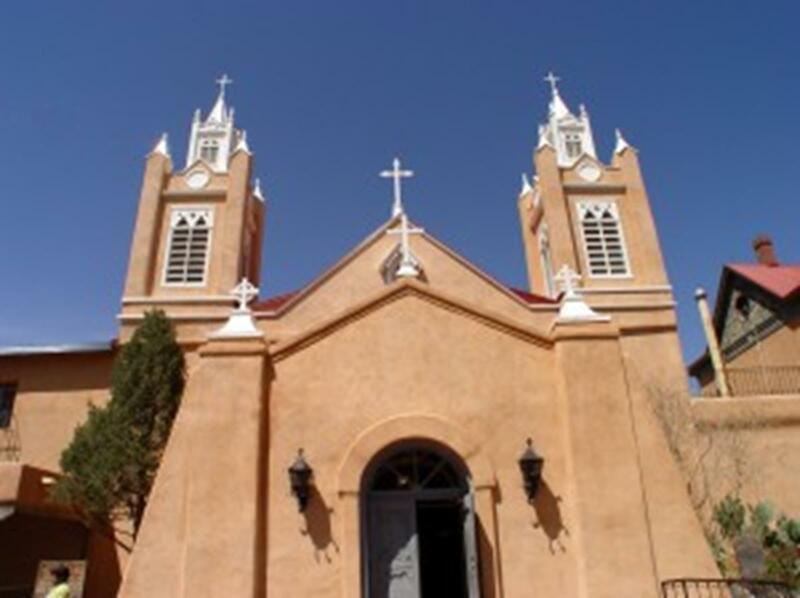 San Felipe de Neri Church in Albuquerque’s Old Town is the city’s premier religious landmark and is sometimes referred to as its “spiritual heart.” The 1793 building is one of the oldest in Albuquerque and features a unique combination of Victorian and adobe architecture. The Catholic Parish had its signature spires added in 1861, and the attached museum showcases religious artwork and furnishings from centuries past. The rest of Old Town is an attraction in itself. As the city’s original settlement in 1706, the area chronicles Albuquerque’s evolution from small Western town to modern bustling city. Traditional flat-topped, adobe-style buildings feature shops and galleries that offer classic New Mexican artwork, jewelry and food. Native Americans sell homemade handicrafts around the central plaza. The 130-year-old First United Methodist Church still has some of its original stained-glass windows. Architecturally the church has evolved from an adobe structure to a Spanish Colonial Revival-style building with a red clay tiled roof and turquoise designs on its ceiling beams. A 2,188-pipe organ graces the church’s sanctuary. 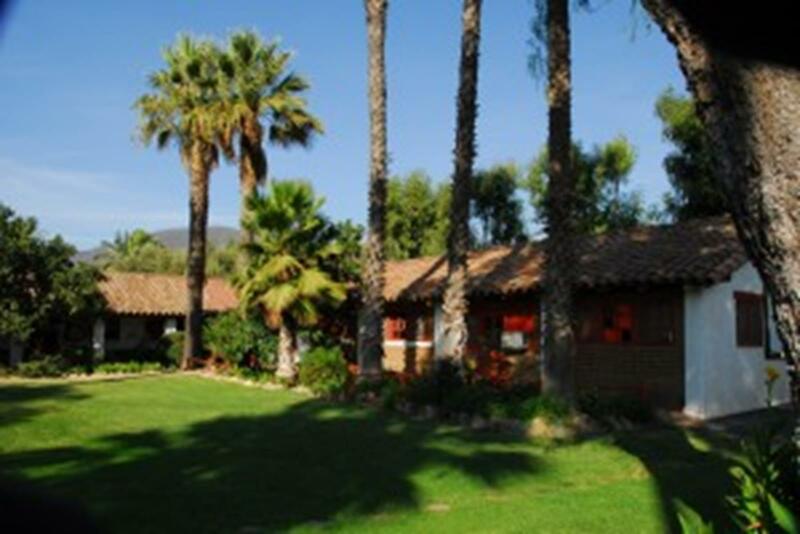 The Spiritual Renewal Center is a great place for your group to relax and be refreshed. Though run by Roman Catholics, the retreat center is open to members of all faiths. The facility is complete with a water garden, labyrinth, Stations of the Cross, patio dining, outdoor contemplation seating areas, walking paths, a chapel and a 60-seat conference room. It’s hard to visit Albuquerque without taking one of its signature hot-air balloon rides. A unique set of local wind and weather conditions create what is known as the “Albuquerque Box,” an atmospheric effect that makes extremely precise flying possible, especially in the fall season. Hot air balloon enthusiasts from around the world visit Albuquerque to fly in these conditions, and these pilots are also greeted with beautiful desert and city views from the air. 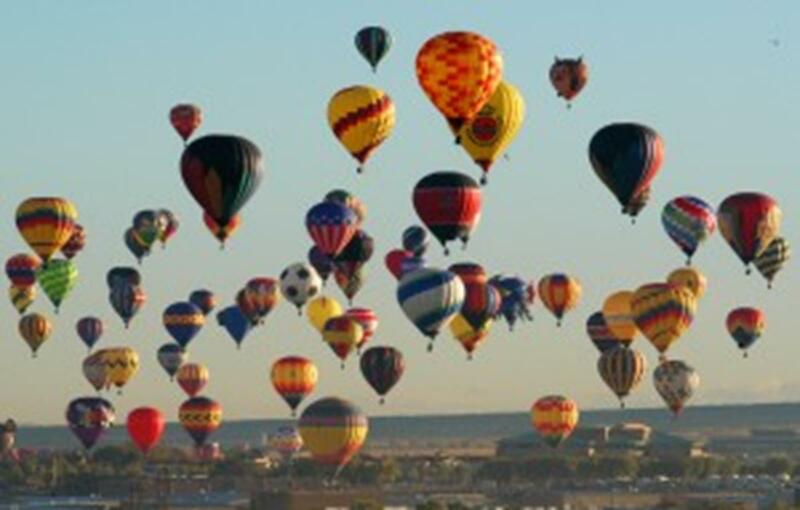 If heights aren’t your specialty, observe over 700 colorful balloons fill the sky during the Albuquerque International Balloon Fiesta in early October.